Add ‘climate change’ as a criterion for project review and approval. “The goal would be to minimize emissions of greenhouse gases and ensure that the design and materials used in development enable projects to adapt to climate change,” the Commission said. Prevent woodland development causing ‘forest fragmentation.’ “Protecting forest blocks [and wildlife migration corridors] not only protects the forests and their ecosystems but also relates to climate change because it protects areas that capture and absorb carbon dioxide,” the Commission said. The Commission will meet Friday, December 14 at 10 at the State House to review this draft report. The final report is due to be presented to the Legislature next month. — Guy Page publishes the Vermont Daily Chronicle, an online news publication. 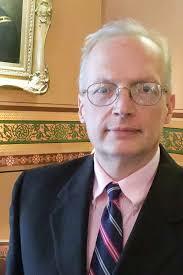 He is an occasional guest on Common Sense Radio on WDEV, and Real Vermont News. This article reprinted with permission. More idiotic government overreach into the lives of Vermonters. This state is headed into a downward spiral that won’t stop. Why can’t these bureaucratic/Socialists just leave us citizens alone. Now they want to create more asphalt jungles and crime/dope centers. Plus extend their own bureaucratic life’s. Things are working fine, so go fix the many problems that need fixing in this State. Boy I’d advise strongly against poking the bear. Because one day the flower children in Montpelier that grew up smoking crack and thinking they know what’s best will realize that bears don’t like to be poked !!!!!! This is what Act 46 is about..school consolidation and more consolidation to come..it aids in moving people closer to the school and the urban area in which it resides. The want to change VT Constitution is also part of the plan to herd people.. watch out when a Constitutional change is called for.. “gun control”.. just sayin’. Many years ago, I learned about an organization that was trying to help promote local products. To me, it makes sense to buy as locally as possible, and I participated in some events. Some of the articles they have put out have caused me concern. I wondered about what they seemed to be promoting. One I remember was talking about building apartment buildings that looked like typical New England houses, as well as promoting urban centers. After reading this article, I would say those in charge of the organization I am speaking of very well may be part of the Commission on Act 250. This is very disconcerting as it is difficult to know who is planning things out behind the scenes and what their motives, motivations, intentions, designs, etc., are. Who are these people who are trying to force on other people their ideas of where and how people should live? Another really stupid idea from the radical left. We have plenty of open land already preserved. This is still America and we should be free to use our property as we deem fit. average working Vermonters poor, while rewarding the elite, self serving left. This will accomplish nothing of value as far as climate change is concerned. I live in a so called Urban area by Vermont standards. If you want to live in a built up area you should be free to do so. If you want to buy some land and live in a less densely populated area that’s your choice and right. Stop forcing these worthless regulations and ideas on the rest of us. Climate change is real. Climate change is primarily a natural cycle. The climate is dynamic not static. Whatever this little State does will amoumt to nothing in the overall situation. Except make the enlightened on the left feel better and transfer more of the working person’s wealth to them to fund ineffective programs. Once again, all of these issues could disappear after the next election if angry Vermonters would step up to the plate and clean up the mess in Montpelier. Sadly, it will never happen. This IS agenda 21. They should just call it that. Enough, we do NOT need anymore oversight, more red tape or regulation. People need to count how many companies have left vermont over the last 10 years. You think these new rules will help to encourage more business growth ? In reading this, the question I have is where does it address growth in business and job creation for Vermonters? Agenda 21, now Agenda 2030. All is going according to the Globalist plan. So the back to the earth people that came here to escape the concrete jungle have come full circle and want everyone to move to town. Click on the link for the Commission Meeting and you’ll note that the meeting is at…10am! I would wager that most of EAI supporters…work! I understand these day hour meetings are standard, but how are we to voice our opposition to ridiculous bills? Please, please let your local legislators hear you and if you don’t get a response…keep trying. We are sinking fast and please keep in mind that there is a liberal Super Majority this year. I find this Act appalling. It does not indicate who has oversight of these soon to be vacated lands, what purpose and to whose benefit they will serve, or what form of AFFORDABLE housing will be be provided to those moving to urban centers! I live in the San Fernando Valley area of Los Angeles. There is no such thing as affordable housing here. A 2 bedroom one bath 895 square foot condo in my complex just sold for $350 ,000. A 3 bedroom townhouse starts at $650,000. And that’s only if you can buy. Most new apartments are rentals financed by foreign banks. Get the picture? This bill sounds to me like the beginning of erosion of personal rights wrapped up in the politically correct guise of preventing climate change (fewer cows, less methane?) I would pray that Vermonters vote down this frightening piece of legislation. The goal is to herd us into compact areas to be able to “control” us better. If you know your history you know when and where this happened in the past. Hello back to you, Mike, as well as to Everyone who shares the concerns expressed in your recent email to VFPA members. In the 1980’s I was fortunate to be elected President of the Massachusetts Wood Producers Association. One of our mandates was to represent industrial landowners, sawmills, loggers and foresters in dealings with the State. Just before I was elected, a new forestry law was passed that mandated increased oversight of our industry, especially as it related to logging. A significant number of our members essentially “freaked out” believing that the freedom from meddlesome government oversight we had thus far enjoyed was doomed. A prominent Berkshire County mill owner brought a John Birch Society representative ( similar to our Ethan Allen Institute) to a meeting. He was not a member, but I allowed him to address us anyway. He told us the new law was evidence we were becoming a Communist State and we should fight it ( It had already passed). Other members said they were going to quit logging rather than accept regulation. As president, I noticed two common elements to the excited opposition. First, none of them had actually read the new law. Second, all of them referred to supporters of the law in ways that were both cartoonish and disrespectful which prevented them from seeing the many ways the new law could actually be beneficial to all of us. To keep this email concise I’ll skip listing them; a generalization is that many Massachusetts towns had begun to write and enforce anti- logging regulations governing wetlands, road use, noise, etc. In contrast, with one professionally enforced, well designed statewide law we would all be better off. So our organization and sister groups like the Mass. Assn. of Professional Foresters included members who volunteered or were appointed to the advisory committee that actually wrote the detailed rules that implemented the new ” Communist” Law. We ended up with regulations that protected and enabled logging and commercial forestry and forged a solid working relationship with the state agency charged with enforcing them. The public saw us as responsible and trust of our industry grew. 1. Respect and listen to all sides. 2. Seek out areas of common interest. For example, the draft cites land fragmentation as a threat to the forest industry. Use that. 3. Volunteer for any committees or advisory groups. 4. Avoid making caricatures of people you disagree with. That makes them less likely to hear your side and eventual compromise more difficult. 5. Be careful to not come off as paranoid or hysterical ( ” they are coming after our way of life”) because it will make you more, not less effective, and less likely to be taken seriously. 6. Find ways to come off as an ally not as an adversary. Honey attracts more flies than vinegar. Good luck with this challenge. The Progs are scary ppl. They are working to really close down Vermont. Maybe they ought to ask us all to leave so they can have their fruit loop State. Well, we are fighting back. They have the legislative power, but we have the message, we just need to communicate it all the Ppl. I really enjoyed talking to you yesterday afternoon and after reading this article I am more convinced that we need to loudly voice our displeasure at theses draconian measures being enacted upon us by theses committees and commissions. I am going to introduce a warrant item this March calling for my town to direct the planning commission to no longer comply to the arbitrary edicts filtered down to them from above. I would greatly appreciate any assistance in coming up with the appropriate language to start this ball rolling.